Serenity and beautiful views are just the beginning of enjoying this newer home with Ann Arbor mailing and Saline schools! Start by enjoying the 3/4 acre lot that feels more like 4 because of the views, and the spacious 3 car garage. Enjoy the rear deck and enclosed Porch with hot tub all year round, while sipping on something cold to drink. Entertaining is easy with a large gourmet type kitchen, butlers pantry, formal dining room, and living room/den, and family room with fireplace. Add to that the convenience of a first floor laundry and access to the garage and yard. Upstairs 4 spacious bedrooms await, with a well appointed Master Suite and an additional guest bathroom and bedrooms. Downstairs the finishing has begun and a guest bedroom with egress window and bathroom have been finished. Additional lower level space is available for a recreation room too! Perfect for family or longterm visitors. Beautiful hardwood flooring, granite, stainless appliances, and upgraded carpets make daily living a pleasure. 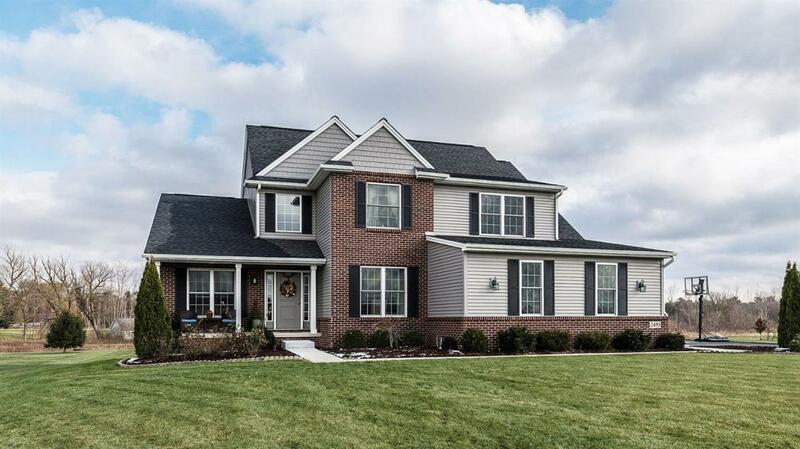 Short drive to Ann Arbor, Saline, U of M, all with lower township taxes. Live your best life with beautiful vistas, the sounds of birds and amazing sunrises and sunsets! This beauty wont last long!